How Far is Sri Sayee Vengata Sayee? 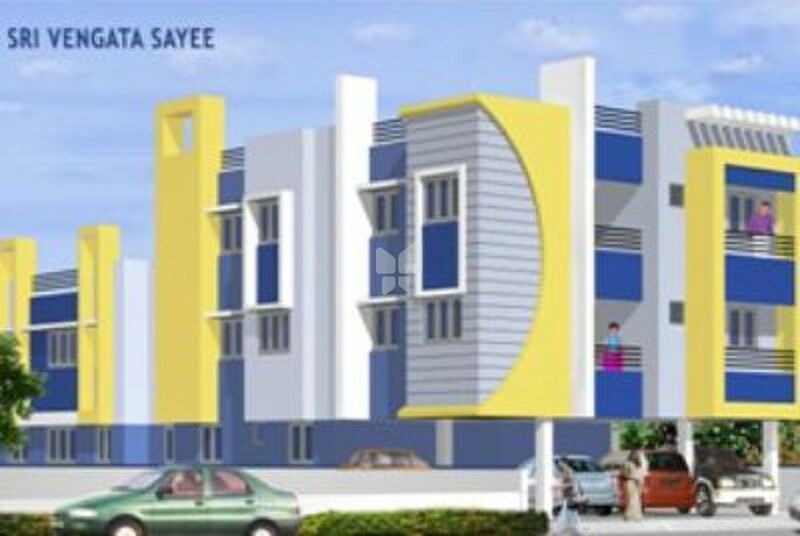 Sri Vengata Sayee is a residential development by Sri Sayee Constructions. It has a thoughtful design and is well equipped with all the modern day amenities as well as basic facilities. 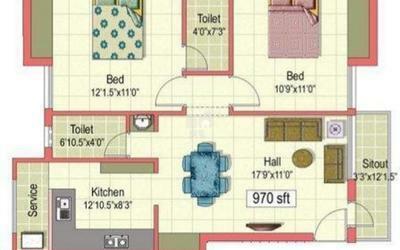 The project offers spacious and skillfully designed 2BHK and 3BHK flats. Unique architectural concept blending ancient Indian Vastu and modern living. RCC Framed Structure with 9-external walls and 4.5 internal partition walls made of Clay bricks/ Fly ash bricks/Solid block masonry walls. Main door- Teak solid wood frame and teak finish flush door with Dorset or equivalent locks, Door eye, door chain. SS tower bolt and a door stopper. Inner doors- Hard wood frame, water proof flush door 151 with Dorset cylindrical SS colour locks or equivalent locks, tower bolts and door stopper. NCI, Seecolor (Venable windows with MS grill. 2'X2' Plain and light colour vitrified tile flooring for all rooms. 12'412" Plain and light cOlOur Ceramic tile flooring for Balcony's. Sornany or equivalent glazed wall tile up to 7 ft height. 12-41.2.50many or equivalent anti-skid ceramic tile flooring. white Coloured ParryWare / Hindware (EWC/IWC and wash basin) sanitary fittings. metro-S brand CP Bathroom fittings. PVC Open plumbing line for water and soil lines Prince or equivalent make. Wiring -Concealed insulated copper multi-strand wires of Orbit 151 or equivalent Make. 3 Phase E B connection with LIT manual rotary switch. Legrand or equivalent make modular Switches. NeccesSery switch points for all rooms. One Side 2 ft depth loft in bed rooms and kitchen. 2 ft wide cooking platform with 20mm thick pre-polished Granite. Single bowl stainless Sink and drain board. Glazed wall tile upto 2 ft height over the platform. Inner walls: Bala wall care putty with Interior emulsion of half-white Colour Asian or equivalent make. Exterior walls: Exterior emulsion of Asian or equivalent make. Main door: Melamine matt natural teak finish. Inner Doors & grills: Enamel paint. Heat proof treatment on the terrace. Weathering course will be laid in slope & finished with pressed terracotta tiles. Extensive pre Construction anti-termite treatment. Green concept Sewage Treatment Plant. A common under ground Sump and a motor. 4-dia bore well for each block. potable ground water available in plenty. All staircase and landing flooring with EurOCOn Or equivalent tiles. Car park area with Inter-locking paver blocks.